A - B - Seymour: Summer Pack Giveaway and Freebie! I have had several parents ask me for some kind of summer review for their kiddos in the last couple of weeks. 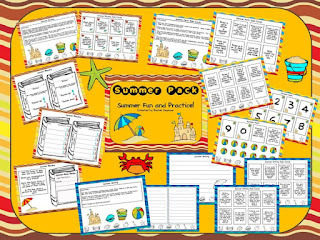 Sooooo, I decided to add some fun writing, math, and reading task cards into my Summer (June/July) Pack! 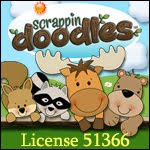 This Summer Pack is 33 pages and can be done with partners, small groups, or independently. I plan on using these task cards as a game as we get closer to the last day of school. 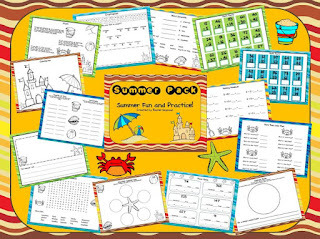 I will also be sending these home with all of my kiddos for quick and easy summer practice! Instead of sending home a bazillion math pages to practice facts, they can draw 4 number cards and make a two digit addition or subtraction problem. This way I'm not killing a bazillion trees and they can easily reuse the cards for an entire summer of practice! 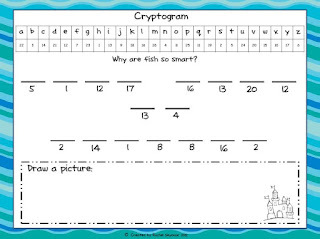 I've also included reading and writing task cards. Kiddos can rate the books they read over the summer by giving the books a 'thumbs up' or 'thumbs down' with shovels...you'll have to check it out! I don't know about you, but I'm starting to have end-of-the-year-itis! I was on my way to the office today to put some papers in our guidance counselors' mailbox. Well, I got sidetracked in the computer lab and totally forgot to go to the office! :( I told our guidance counselor later that I have end-of-the-year-itis! She understood! Because of this hopefully temporary disease I'm putting this Summer Pack on Sale until Friday! I'm also going to give 3 away to the first 3 people who leave me a comment with their email address! Good luck as we're getting closer and closer to the end of the year! I'm going to miss my kiddos so much! This pack looks awesome! Perfect for the summer! Your packet looks great! My email address has a typo. Sorry. This is just what our school is doing too! Yours looks perfect and is a great tool for parents who want to help their child keep from sliding backwards. 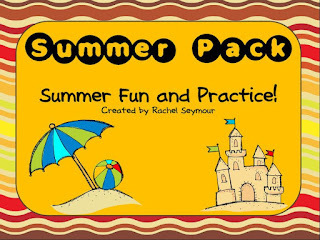 That is such a cute summer pack! I'm putting it on my wishlist! !